I don&apos;t know about you but I love writing code in a visually appealing environment. Beyond vanity, a good theme (and good font, because good themes should come with good fonts) makes your tons of code less boring to look at. Some themes even point out types in your code with colour schemes. A good theme can make your job a bit easier, more fun and exciting. This is a port of Atom&apos;s iconic One Dark theme to VS Code. Need I say more? I love this theme. It&apos;s good to appreciate and encourage teenagers who are making impact in the ecosystem. This theme was made by Olaoluwa, a teenager. From the creators of the original Monokai, Monokai Pro is a modern take on a functional color scheme. Let&apos;s you get rid of the distractions and get straight to the code. There&apos;s something calming about the color scheme used in this theme. The dark purple tint is what differentiates this theme from the others. What a colourful theme! A lot of colours, everywhere. A simple and clean material theme. Lots of configuration options here for color tints. Official Wes Bos theme. You know it&apos;s quality if it&apos;s from Wes Bos, I like it. Another package that ports over the Atom One Dark Theme. It looks like this theme has been abandoned by its maker(s), but it&apos;s still a good looking one! Installing a great theme is not enough, you need a nice set of icons to complete the whole puzzle. That&apos;s why I&apos;d recommend the two most popular theme icons for you. When a lot of people are buying or saying good things about a particular product, you can be sure of the quality of the product. In an online store, the best products always have the highest number of downloads and average ratings. 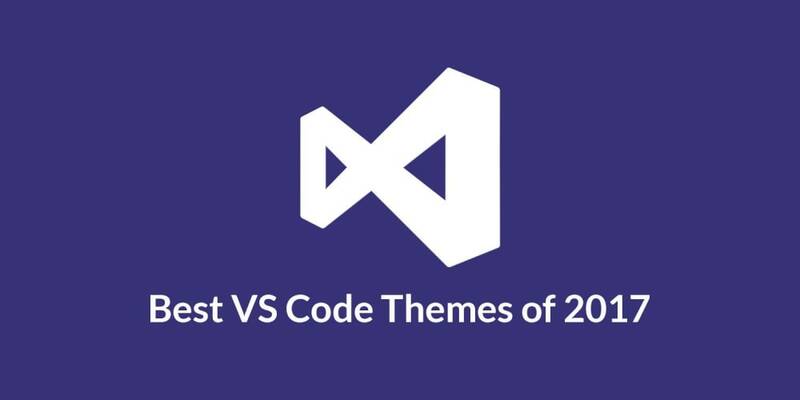 To rate the best VS Code themes out there, I decided to employ the same technique because a lot of people can&apos;t be wrong, not on this kind of issue.